Did you miss Dr. Philip Dubé's recent webinar, The Most Important Mouse in the World - Your Guide to the C57BL/6 Mouse? His presentation explored genetic diversity amongst C57BL/6 substrains, the implications for GEM models, and the utility of the C57BL/6 mouse in studies of metabolism, immunology, oncology and behavior. Q: How many different C57BL/6 substrains does Taconic Biosciences currently offer? Dr. Philip Dubé (PD): Taconic offers two different C57BL/6 substrains, C57BL/6NTac and C57BL/6JBomTac. Q: Is C57BL/6NTac the same as C57BL/6NJ from The Jackson Laboratory? PD: Taconic's C57BL/6NTac is genetically similar, but not identical to the C57BL/6NJ strain. Both are derived from C57BL/6N embryos, once maintained at the National Institutes of Health (NIH) Animal Genetic Resource. Taconic received this strain in 1991, and The Jackson Laboratory received theirs in 1997. Taconic maintains the genetic stability of all inbred mouse strains through cryopreservation, ensuring that C57BL/6NTac is as similar as possible to the original C57BL/6N line maintained at the NIH. Q: How important is genetic background relative to microbiome profile? PD: Genetic variations between C57BL/6 substrains contribute to multiple phenotypic differences. However, the microbiome can have an equally important role in determining multiple characteristics of a mouse strain, most notably immune and metabolic function. Mice sourced from different vendors, or even from different locations from the same vendor, may have vastly different microbiome profiles. Specific examples of known commensal microorganisms with functional impacts include segmented filamentous bacteria (SFB) and Lactobacillus reuteri1,2. Q: How often should we backcross our colony to avoid genetic drift? PD: If you are maintaining a colony of wildtype C57BL/6 mice, we generally recommend replacing it with fresh stock at least every four generations. If using a colony of genetically engineered mice on a defined C57BL/6 background, consider backcrossing every four to ten generations. Since one generation of backcrossing only replaces half the genome, it is recommended to do this more frequently rather than less. When backcrossing, be careful to use a defined inbred stock that is identical to the background of your line. Using an inappropriate C57BL/6 substrain may impact future studies3,4. If unsure about the genetic background of your line, SNP testing should be performed (see below). A better option is to cryopreserve embryos (or sperm) from your line and completely replace it with rederived animals every ten generations. An added advantage to this is the security of having a backup for your colony in case of unforeseen circumstances (disease, accidental mismating, facility issues, natural disasters, etc.). Q: What are experimental approaches to verify the substrain? PD: Single nucleotide polymorphism (SNP) panel testing is a straightforward and economical way to determine the genetic background of your mouse strains. Substrain background can be easily identified using a SNP panel designed to differentiate C57BL/6 strains, such as the Mouse B6 SNP Panel from Taconic (ninety-six SNPs in total). This panel includes ninety-four SNPs that differ between C57BL/6NTac and C57BL/6J substrains. However, this panel is less sensitive to differences within C57BL/6N substrains, and includes only two SNPs that differentiate C57BL/6NJ from other C57BL/6N substrains. Before using a targeted C57BL/6 SNP panel, you should confirm that your strain is on a pure C57BL/6 background and does not have genetic contamination from other strains (e.g. 129S6/Sv, FVB or BALB/c). Overall strain composition can be determined using more comprehensive SNP panels. Q: How can you determine what gene(s) are causing phenotypic differences between different C57BL/6 substrains? PD: Linkage analysis of genetic crosses between different C57BL/6 substrains, in combination with SNP arrays and whole-genome sequencing, may help to identify putative causative genes for a given phenotype. This approach is challenging, however, given the limited number of markers for linkage analysis between C57BL/6 substrains. Confirmation of the functional consequences for a genetic variant would formally require targeted gene editing on a defined genetic background. For example, aberrant B cell development in the C57BL/6NHsd substrain was attributed to the Dock2m1Hsd variant in this manner3. Caution should be taken to rule out non-genetic factors for differences between strains, such as microbiome influences. Q: How does gender affect study results in C57BL/6 mice? PD: Gender can have a major impact. Aside from obvious body weight and hormonal differences, C57BL/6 males have different behavioral and metabolic properties compared to C57BL/6 females. Gender should always be considered in study design. Gender is an important biological variable, and the choice of gender(s) to include in studies should be scientifically justifiable. For example, as of 2015, the NIH requires justification for the choice of gender in all grant applications involving animals in biomedical research. 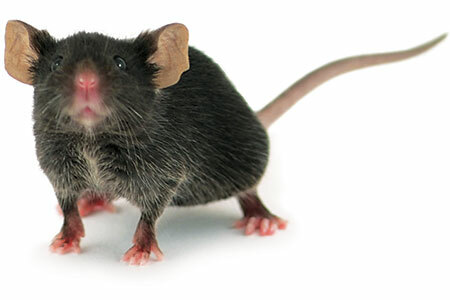 Q: How can you reduce aggression and fighting behavior in male C57BL/6 mice? PD: C57BL/6 males may become increasingly aggressive as they age or when subjected to stressful situations. C57BL/6 males are hierarchical and a dominant male may arise in cages with multiple mice. When co-housed with other males from a young age, or as littermates, the chances of aggression are minimized. It is recommended to not co-house post-pubertal C57BL/6 males with other unfamiliar males. Stud males should never be housed with any other male, and multiple males should never be housed with any female(s). Stress-inducing situations (procedures, unfamiliar caretakers, illness, etc.) will tend to increase the likeliness of aggression. Providing enrichment devices may reduce aggressive behaviors; these include nesting material, shepherd shacks, chew sticks, tubes, etc. Q: Why do C57BL/6 mice develop ulcerative dermatitis and how can it be prevented and/or treated? PD: All C57BL/6 substrains are prone to developing dermatitis. Although a genetic cause is unknown, there is a strong environmental component to this. Dermatitis incidence may be minimized by maintaining a stable environment with constant temperature and relative humidity between 30% and 70%. Once dermatitis presents, this has historically been difficult to treat. However, a new and very effective management option is to clip the rear toenails of the affected mice to prevent scratching and aggravation of the condition while it heals1. Topical salves and antibiotics may also help to prevent infection during healing, but are generally not effective alone. Q: Would a breeder diet, such as Purina 5015 chow, cause C57BL/6NTac mice to become obese and display metabolic syndrome? PD: High-energy breeder diets are formulated with increased fat to support post-partum and continuously breeding females. Typically, these have around 11% fat by weight, compared to 5-6% in standard chows. C57BL/6NTac mice are prone to developing diet-induced obesity and insulin resistance when fed a high fat diet. Increased adiposity when maintained on an 11% fat diet would not be surprising. Taconic's standard chow is the NIH 31M formula. Q: Is there a simple way to select a specific C57BL/6 substrain to use for metabolic studies? PD: C57BL/6N substrains are often recommended for metabolic studies; however, there is no simple way to choose the best one for a specific application. The performance of a mouse in a metabolic study will not only depend on genetic factors, but also its inherent microbiome profile. The microbiome of a mouse will vary based upon its origin and husbandry protocols. The best recommendation is to choose an optimal model based on validation studies, with a specific substrain sourced from a specific location. Q: How well do C57BL/6 mice work for stress-inducing protocols? PD: C57BL/6 mice in general respond to stress differently from other strains. While there are likely substrain differences, these are not well defined. In contrast to more stress-prone strains, such as BALB/c and 129S6/Sv, C57BL/6 present more metabolic than behavioral disturbances in response to stressors. Gender and circadian rhythms are also likely important factors, in addition to socialization and other environmental influences. Chronic stress protocols validated for C57BL/6 mice have been published6. Q: What factors cause variability in the growth of tumors implanted in C57BL/6 mice? PD: There are many factors that may influence the growth of implanted tumors. Even if the same number of cells are implanted (and they have the same level of viability), the exact placement of the graft and subsequent perfusion can have drastic impacts on the rate of tumor growth. For example, tumor growth rate can vary by a factor of four depending on whether it is implanted more anteriorly or posteriorly7. The exact placement of subcutaneous grafts should be considered and controlled in studies. The age and starting weight of the animal can also impact tumor growth — I would recommend ordering mice by weight to normalize this. Researchers should also order mice from a single location to minimize effects from microbiome differences. Finally, mice are socially hierarchical, and subordinate individuals can have different levels of stress that may affect immune responses and tumor growth. Environmental enrichment, and appropriate acclimatization and husbandry conditions (handling, light, noise, etc.) can help to minimize stress, particularly in males. 1. Farkas AM, Panea C, Goto Y, Nakato G, Galan-Diez M, Narushima S, Honda K, Ivanov II. Induction of Th17 cells by segmented filamentous bacteria in the murine intestine. J Immunol Methods. 2015 Jun;421:104-11. 2. Cervantes-Barragan L, Chai JN, Tianero MD, DiLuccia B, Ahern PP, Merriman J, Cortez VS, Caparon MG, Donia MS, Gilfillan S, Cella M, Gordon JI, Hsieh CS, Colonna M. Lactobacillus reuteri induces gut intraepithelial CD4+CD8αα+ T cells. Science. 2017 Aug 3. 3. Mahajan VS, Demissie E, Mattoo H, Viswanadham V, Varki A, Morris R, Pillai S. Striking Immune Phenotypes in Gene-Targeted Mice Are Driven by a Copy-Number Variant Originating from a Commercially Available C57BL/6 Strain. Cell Rep. 2016 May 31;15(9):1901-9. 4. Ulland TK, Jain N, Hornick EE, Elliott EI, Clay GM, Sadler JJ, Mills KA, Janowski AM, Volk AP, Wang K, Legge KL, Gakhar L, Bourdi M, Ferguson PJ, Wilson ME, Cassel SL, Sutterwala FS. Nlrp12 mutation causes C57BL/6J strain-specific defect in neutrophil recruitment. Nat Commun. 2016 Oct 25;7:13180. 5. Adams SC, Garner JP, Felt SA, Geronimo JT, Chu DK. A "Pedi" Cures All: Toenail Trimming and the Treatment of Ulcerative Dermatitis in Mice. PLoS One. 2016 Jan 6;11(1):e0144871. 6. Monteiro S, Roque S, de Sá-Calçada D, Sousa N, Correia-Neves M, Cerqueira JJ. An efficient chronic unpredictable stress protocol to induce stress-related responses in C57BL/6 mice. Front Psychiatry. 2015 Feb 2;6:6. 7. Auerbach R, Morrissey LW, Sidky YA. Regional differences in the incidence and growth of mouse tumors following intradermal or subcutaneous inoculation. Cancer Res. 1978 Jun;38(6):1739-44. ← Here is what CRISPR, the number 62 and pigs have in common!